Anyway mariners could get Realmuto? Paxton and Kyle Lewis? No chance the marlins want 2 years of Paxton. They probably want prospects with 5-6 years of control. Also as an M’s fan, I don’t think we should pursue realmuto, which would gut our already thin farm. I believe the M’s are trying to add to their farm this offseason while adding players with 4+ years of control. Realmuto has 2 years control. Why would they trade their only good starter for a player who has the same amount of team control as him? Why would Seattle trade two years of Zunino away, then trade their biggest asset, Paxton, along with their number 1 prospect just to get two years of Realmuto? That makes absolutely zero sense. The would be losing projected WAR along with rising talent while actually losing years of control. They’ll keep Lewis. If he was available, he would have been moved at the deadline for help. Paxton is Seattle’s ticket to a couple of top 100 prospects with full control. Makes little sense for either team. Why would Miami want Paxton? They aren’t contending anytime soon. A 30 year old pitcher with only 2 years of control holds little appeal and value for a team in that situation. If Seattle went for Realmuto they’d be aiming to contend, moving Paxton would hurt their postseason chances. If Paxton is moved he’s headed to a contender, if Realmuto is moved it’s for a haul of young talent, not one good prospect and Paxton. Why would Miami want an oft-injured SP when they’re rebuilding? Palmerpark is Buster Olney, confirmed. I love DiPoto’s creativity, but it’s moves like this that really puzzle me. How does somebody trade their starting catcher without having anything else lined up. At this point, he lacks any leverage in trade talks, and will probably pay more than he would have assuming he made a move beforehand. While one could argue that a trade for a catcher would have hurt his leverage in the Zunino deal, at the end of the day, the M’s could have created the facade that they were looking to find an offensive platoon partner for Zunino with the intent to keep them both aboard. The lack of foresight and planning in the Zunino move is certainly puzzling. Furthermore, I feel like the M’s overlooked Smith’s exceptionally high BABip as well, as I would expect his results to drop quite a bit next season. There’s an entire offseason left to get a serviceable catcher. We got 4 years of Smith for 2 years of Zunino, maybe dipoto doesn’t see the M’s winning it all in the next two years. Bingo. It’s not about 2019, it’s probably about 2021, when White, Bishop, and Lewis may all be contributing. The main reason for the deal was the years of control for smith > 2 years of Zunino. They’re taking a step back in 2019, and going for it in 2020. So, why hold on to Zunino and lose a year of control for no reason? And if you don’t think a major league front office knows what babip is then that’s the puzzling part of this. Well, if Seattle doesn’t intend to contend for the next couple of years, which Dipoto has hinted at, they’ll have two years to find a replacement and Zunino will be a free agent at that point. Seattle could sign Martin Maldonado and have an equal replacement for Zunino. Rebuilding seems the most logical explanation. It’s November. Give it a rest. Every time I hear the Padres franchise mentioned I think of a long loud fart. Can’t run a team like it’s fantasy league squad – it’s great that he’s willing to deal but what’s the long range plan when your constantly wheeling and dealing…. I mean the long range plan seemed pretty simple when he was hired. It was simply to find a way to try to compete now and get an older relatively expensive team to compete now. So they basically attempted to get as much out of their not great farm system. Now they basically have to retool and hope their younger kids matriculate. Article failed to mention Frenchy cordero for padres. There is probably a deal to be had if the padres trade Wil Myers, some $$$, and a pitcher to the Blue Jays for Troy Tulowitzski. Being able to play 1st 3rd OF offers the jays a versatile player whos price gets knocked down and padres get a ss to fill in for tatis jr.
Renfroe could wind up in Baltimore, Cincinnati, Oakland, Atlanta, or Cleveland. Leaving padres with Cordero Margot Reyes and Jankowski. So the jays are sending money for Troy? No padres sending money for myers- 64 mill for myers vs 38 for tulo if you exercise his 4 mill buyout. Maybe myers and 10 15 mill to drop price closer. The jays would rather you keep your money. We’ll take one of your rule 5 prospect instead. Sure. Take a couple rule 5 guys. OF Gettys, P Pedro Avila, P Hansel Rodriguez, and 1B Zunica fair instead of 10 to 15 mil? And ideally, the padres wouldve kept myers at 1st and signed mike moustakas to play 3rd given his poor market instead of Hosmer. But. Here we are and nobody is taking Hosmer. So odd man out is myers and his contract. Tulo is just a shorter contract to come off the books after 2020 and fill a hole until Tatis is ready. Yeah Tulo’s contract is much easier to stomach than Myers’s contract at this point. Plus, maybe Tulo could improve some when he’s not on that turf anymore. Absolutely no one who trades for Myers sees him as a possible 3B. Padres only put him there because they couldn’t play him in the OF without taking PA’s from Renfroe and Reyes. Well the jays did play russel Martin there last year. Idk if myers playing 3rd for the jays part time is all that crazy a scenario. We have Drury and Vlad next year. If we took on Myers it would mean Sending Smoak packing and cutting bait on Tellez. Myers + $ for Tulo is pretty good. Congratulations!! You win idiotic comment of the day. Doable but I don’t think the Yankees include Florial. They could do Sheffield Frazier and Romine with the intent of resigning mccutchen for Paxton and colome or Diaz. Since when did you become a GM? You have to give up something to get a number 2 starter. You Yankee fans want something for nothing. Being someone with experience in this field, the M’s need a starting C, Romine is a backup and NOT a headliner. LHP Sheffield, Romine and. High-mid RHP (Abreu), I think gets the job done. I agree that giving up Florial is too much! Paxton isn’t signed long term. He’s only got what, 2-3 years left? Also not even a Yankees fan, for the record. Or saying Paxton is bad. Paxton IS a number 2. Sheffield COULD BE a number two. There is a big difference. The Yankees are built to and want to win now. Paxton gives them a better chance at that and they have the money to re-sign him in 2 years anyway. If I am Seattle, I need more than just Sheffield in order to trade Paxton. Paxton isn’t the only, or even the best, starter on the market. So why would the Yankees use thier best trade asset on him? Cleveland is retooling not rebuilding do you actually think they will trade him or carrasco to the Yankees? Who else is there granted I believe the Yankees will sign Corbin but they need more than that. Kluber If he is even dealt will only go to a national league team where he won’t compete againts them. This is not free agency the Yankees can’t just get who they want cause their pockets are deepest. i mean, if money is not an issue, why not Corbin and Keuchel? if money is an issue… why Paxton? they’d be getting his expensive arbitration years and then have to pay him anyway. sign Corbin and then use the dirt cheap Sheffield as the +. and if they have to give up more than Sheffield, it just doesn’t really make sense to them from a value perspective. Paxton is quite good. He’s younger than Kluber and Carrasco. You don’t have too many lefty starters that throw upper 90’s. I’m not saying he’s better but he’s not a slouch and Sheffield is a prospect. He hasn’t proven anything at the highest level. so really Paxton’s skill is not the issue… it’s that if you’re the Yankees, he’s far from a perfect solution… and the off-season is just starting, so why settle for an imperfect solution before you know the better solutions are off the table? yes, Sheffield is unproven, but there’s upside there and he’d be making basically nothing for another 4 seasons. He’s also a pretty valuable trade chip (which is why the Mariners, in theory, want him)… and the Yankees can only trade him once. You can always buy talent but it is expensive! A free agent is going to cost you an arm and a leg. The Yanks need to keep up with the Red Sox and they NEED proven starters not prospects. Some prospects NEVER develop. They WON’T wait and if Paxton is not their guy and someone is better- the cost of a trade will be MORE not less! again, if money is not an issue, Keuchel and Corbin are much better options. Or trade targets like Kluber who’s frankly just better and more reliable healthy wise. if money is an issue, well, Sheffield becomes that much more valuable to the Yankees, making them less likely to want to trade him for a player who will get very expensive very fast… especially if he stays at his current production level (hooray for arbitration). Having a cost controlled young starter like Sheffield frees up more money for elsewhere. So if you approach this logically, Why would Paxton be ‘their guy’ when he kinda’ falls into that middle round of what they’d need in either scenario? the Winter Meetings haven’t even happened, nobody is off the proverbial board… what makes Paxton the perfect fit? Give up more money and get a better pitcher, give up more prospects and get a better pitcher… which gets me back to my argument here : Paxton frankly isn’t worth Sheffield to the Yankees right now because Sheffield gives the Yankees a much better chance to land a better pitcher. I probably need to fall back on more tropes for you to fully understand that, but i’m going to give actual thought one last chance. As I see it, the Yankees need 2 starters. They have Severino, Tanaka and CC. Sign Corbin and maybe a mid level guy… Haap did great for them… Buchholz? The starters only need to go 5 innings with their solid pen. They could even rely on a AAA guy… German? Sheffield? Loaisiga? Adams? Cole? There’s a slew of choices. No need to trade a top prospect when they have plenty of in house choices and there are options in free agency. They may even circle back to Sonny Gray. Only let him start in road games. One in five prospects as good as Sheffield or better become average or better major league players. Sheffield has a 20% chance. Paxton is 100% a major league starter. Maybe Seattle sends a prospect back with Paxton, but I think it’s almost even. Cleveland has 3 catchers. One will be traded. Then theres Martin.. any takers? Danny Jansen looks like a keeper. Think they could trade one of them to the Brewers for Broxton. I also would like to see Milwaukee find a take on Thames, Perez, and maybe Santana and Anderson then bring in Myers pretty sure they could get him plenty of at bats between first, Braun getting hurt along with third base. Myers alone could replace Thames, Perez, and Broxtonalong with a possible platoon with Aguilar if he isnt the real deal. For a brief second I was wondering about some 3-team trade where the Red Sox give up Vazquez and prospects to net Realmuto. But the truth is a big no. Not enough on the farm to make much more than a minor move. Oh well. WoW! You finally admitted you were wrong! Well I’ll be damned! Now that wasn’t so hard now was it? And therein lies the problem. Trading for a guy because you think you’ll be able to extend him is not something smart GM’s do. Unless the player agrees to a sign-and-trade. Well I see that now, but like I said, my mentality was that there aren’t many teams in need of a SS and half of those teams want someone who’s cheap just to fill the position while the other half wants someone with talent either by aquiring them via FA or the trade market. I wasn’t expecting him on signing an extension right away if he was going to, but I assumed Preller would be able to successfully persuade Galvis on signing an extension as a utility player on a future contending team. I jsut read an article like a week ago that said Galvis wanted security, a lengthy contract and a secure position and he won’t get that with the Padres with Tatis moving up to the majors soon. Preller on the other hand sounds like he’s ready to move on and said all he wanted to do was to fill the SS spot because they haven’t had a good SS since Greene. So, that means Preller knew he wasn’t going to extend Galvis from the very beginning and is just using that as an excuse to justify the trade. Freddy Galvis was never going to sign an extension. Again, if the thought of extending the player is a must for you, you either get a sign-and-trade or don’t make the trade at all. I know it sounds like a lot because it’s a lot of players we would be giving up, but most of those players aren’t really good besides Paddack. Allen would be our #3 catcher, all Renfroe has is power (I prefer to keep Reyes that’s younger and looks like he can adjust faster), Lucchesi is a #5 starter on a good team, Potts will probably end up being an average 3B and Paddack could be a #2/3, but Suarez is a really good proven 3B that’s young and has a team friendly contract. Right, but it’s Eugenio Suárez not Kris Bryant. Remove Paddack and it looks a little more realistic. I actually would be onboard with that but I think it will take a little bit more to get Suarez. A lot depends on the perceived value of Renfroe. Yeah the Padres would not want to be overpaying with a package like that for Suarez. But then again, there were Reds fans in an earlier article that said Suarez would cost Gore , so by that comparison, your proposal isn’t too bad. Take out paddock and that would be a fair package. Wonder if the Padres would give us Mejía for Paxton??? I like paxton a lot but he has never started more than 28 games or pitched more than 160 innings in the ML. He seems like he is always dealing with an injury and only has 2 years left of team control before FA. Mejia could definitely get more than an oft-injured 2 year starter. Paxton too close to free agency. Better to keep Mejia and then just sign Paxton away from you in two years. I think a three team trade might work where Paxton is flipped to a competitive team like the NYY or CHC. But otherwise I agree acquiring Paxton doesn’t make a ton of sense. Will Myers… I looked at the Contract. Whoa. . . They have to dump him immediately. But there is no trade value in him at all… High strikeouts no position. . . I think he’s a good hitter. If they would just stick him in left or right. I don’t know too much about his outfield defense. But 22.5 mil a year for three years. After 2019… Maybe pay some of that down. To get a good prospect in return. Ala Tatis. If they can strike gold… Bad contract. Bad GM. ??? Not sure yet. . . . . . .
Based on your comment I looked up Myers contract. I too was in disbelief. Preller is simply nuts. Even more so then I thought. I have no idea why the owner and fans think he can compete with the front offices in the NL West. All have more money. SF and LA far more money. Preller might have his flaws, but he’s not some invalid like you seem to think he is. He has certainly shown that he can build a better farm system than many of the other NL West teams. But I agree, the Myers contract is going to start looking very bad, as if it wasn’t already. I never understood why they backloaded it that way. Maybe they can find a trade partner sometime this offseason. Yes, the farm system is great, but I’m really starting to wonder about Preller’s ability to evaluate major-leaguers. I mean, obviously, that didaster that was his first season was due in large part to ownership opening the pocketbook and asking him to import a bunch of players. That didn’t work at all, and it seemed like he’s been given leeway to do things his way – building up the system impressively in the process. But the deals for Myers and especially Hosmer are just puzzling. Myers has some talent and was actually healthy when he was playing first base only. Hosmer was dreadful last season and we all know how many years and dollars are still on that contract, which also displaced Myers and forced him to play other positions, which in turn causes him injury. Myers is a better hitter than Hosmer. Myers might have some trade value, except the contract is so weird that the Padres would have to eat money to move him. . 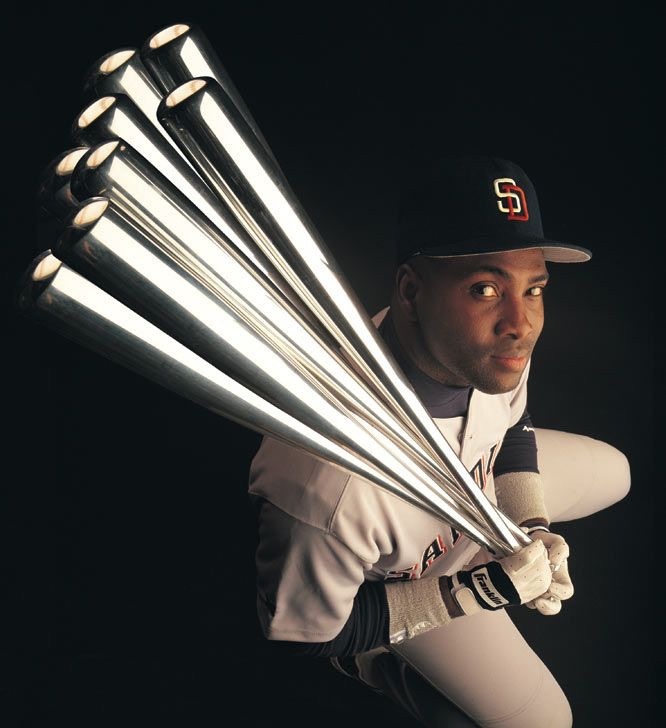 Unfortunately for Preller, evaluating major league talent is where championships are made. Pretty much agree with you except for the gushing defense of Myers hitting. However, I’m assuming that was in comparison to Hosmer’s 2018 season, which makes sense. Myers is NOT a better hitter than Hosmer. Even his 25-30 HRs comes with a huge price in Ks, defense, and attitude. And he only hit 30 once, getting his 30th on the last day of the season. What if the padres try and flip Mejia to the rockies for Brendan Rodgers? 2 top 10 prospects trading teams and filling up said holes. or even Hedges and Wil Myers to the rockies for Rodgers. Id rather have that one. I don’t think the Rockies move Rodgers with Arenado about to hit free agency. Plus interdivisonal trades are always challenging. Arenado and Rodgers have NOTHING to do with one another. Rodgers is not going to be a big league third baseman. He doesn’t have the arm. He is far more likely to be a second baseman. Plus trading Rodgers for Mejia doesn’t fill holes for both teams. The Rockies already had a bad fielding, power hitting catcher in Wilin Rosario. That’s who Mejia is likely to be if he stays at catcher. And if he moves to another position, then he isn’t worth Rodgers. Fangraphs has his arm at a 55 above average and MLB pipeline has his arm as a 60. So I think based on that he can handle 3B. Mejia is still a work in progress behind the plate so I am not sure where COL stands on trying to keep him there. Well, Fangraphs and MLB Pipeline do not run the Rockies. The Rockies have said his future is most likely at second base. I didn’t say he wouldn’t be a better fit at 2B. I was simply stating he could possibly handle 3B. Prospect trades are rarely done, either. I also think Mejia has more value than he’s shown so far. He was the only piece the Padres got for their best reliever; there’s something there for sure. I doubt they give up on him so quickly. The Padres offseason depends on whether Myers can stick at 3b. I wish he can be able to. The Padres’ outfield can be: Margot, Renfroe, Cordero, Reyes, with each getting 121 starts in the OF. Trade Jankowski. Francisco Meija gets occasional starts in the OF. Hedges, Renfoe, and Yates to Atlanta for Teheran and Rilley. I would actually take that deal although I am a big Hedges fan. Me too. I’m higher on him than Realmuto. He just seems more personable and intelligent. A team first type player. Hedges is a valuable commodity; the average and OBP are unfortunate, but those things can usually improve – the learning curve for catchers is longer in all facets of the game because catching is such a difficult position to play defensively. Hedges is already a great defensive catcher and he has a little pop. That’s quite an asset, and if he could just hit a little more or learn some better plate discipline he could be an all-star. Braves like Austin Riley too much to trade him. Renfroe and Yates for Teheran, Ruiz & Culbertson is more even. Ruiz can’t hit his weight and the Padres don’t want more outfielders so I don’t think that trade makes much sense. lmao “Ruiz can’t hit is weight” – dude he had 14 at bats, calm down. Culbertson plays SS for SD in this deal, not OF? tf you mean doesnt make much sense?? I predict Kurt Suzuki will sign with Colorado, and proceed to hit his career high in homers while having a really decent year. People are “going crazy” over him because he is literally the best C in baseball since 2016 and is #2 behind Posey if you back to 2015. But Realmuto is on the way up and Posey is on his way to not being a C anymore. He’s the #1 offensive C in that time and the #7 defensive C. He. Upgrades. Over. Everyone. Even. Yadi. I’m not exaggerating when I say whoever gets him should be seen as a legit WS threat. That is the power of getting THIS much of an upgrade over literally any current C.
Yeah he definitely made the Marlins into a legit WS threat. So you think if the Orioles get him, they are a WS threat in 2019? I think maybe you ARE exaggerating. BTW, when you quote someone, you are supposed to use the exact words they used. And to repeat myself, I remain THRILLED. Besides, all that comparison shows is how relatively weak the entire catcher position is in MLB. When the entire lot doesn’t even have a 5.0 WAR season, then the difference between the #1 catcher and the #10 catcher is not worth the price it will cost in prospects. Avoid Realmuto and sign Ramos or or Grandal or trade for Cervelli. The difference is not that vast and the cost will be substantially less. Signing Grandal means youre losing your 1st round pick. The rockies actually have the prospect capital to pull off a Realmuto trade and still have decent options in the minors to fill organizational need. Say they do part with Rogers as the main piece. Rockies still have Garret Hampson whos MLB ready, followed by Ryan Vilade, Terrin Vavra working up the minors. No, you only have to give up your 2nd or 3rd highest pick, depending on whether or not you received revenue sharing. Not sure if the Rockies did. Even if signing Grandal costs a 1st round pick (which it would actually cost the Comp A pick), your offer includes 2 top 5 1st round picks, 1 lower 1st round pick, 1 2nd round pick and another player. That still seems like more to me. No it won’t hurt the farm. It could easily withstand that deal. My problem is that in no way do I believe Realmuto is worth even half of that offer. You are only getting 2 years of his services and he is coming off of a 4.8 WAR season not an 8.8 WAR season. He is a very good player, but that is a SUPERSTAR offer and Realmuto is not a superstar. I wouldn’t have a big problem if the cost was something like Pint, Patterson, Hampson, and Doyle. That’s a fair offer in my book. Myers and Mejia for matz, lugo, Alonso? Why would the Padres want Peter Alonso with Eric Hosmer not going anywhere and Wil Myers and Josh Naylor also available at 1B? Better question: who do the Padres trade Naylor for? Starting pitching or a third baseman. I think he could be a good complimentary piece especially to an AL club. Sano for Naylor straight up sounds like a winner. I would love the Jays to get Naylor as hes a hometown kid. Sheesh. Relax there bud. Just starting a conversation. Put someone else in there instead. Relax buddy. How about Myers, Hedges and Jankowski for Santana, Thames, Pina, Anderson and Derby? Trade Myers, Austin Allen, and Gabriel Arias to the Phillies for Carlos Santana and Kyle Young. Phillies pick up an OF option and some prospects, clear room to put Hoskins at 1st where he belongs. Then trade Carlos Santana to the Mariners to DH for them, include some Padres rule 5 prospects for the Mariners- OF Michael Gettys, P Pedro Avila, P Hansel Rodriguez, P Jerry Keel to sweeten the deal for the Mariners to take Santana. Padres get out from under the contract and all they really did is trade guys they would of lost anyways or guys who were blocked. Allen blocked by Hosmer Naylor etc. Arias blocked by Tatis, Edwards, Miller. Trade Myers, Perdomo, Diaz, Kennedy, Guerra, to Marlins for Wei Yun Chen, Edward Cabrera, Trevor Rogers. Marlins can slot Myers in the OF or at 1st, pick up some MLB pieces who need playing time. Padres pick up some young arms and a pitcher they can cut after 2020. Padres would clear up 4 40 man roster spots dealing Myers to the Marlins Heck trade from rule 5 guys in the deal and protect the others. Either way Padres get out from under the contract, Marlins pick up talent. Why would Marlins take on Myers contract? Victor Caratini and Brandon Kintzler to M’s for Sam Carlson. M’s get a catcher with multiple years of control, cubs get a little salary relief and a tommy john wild card? So Reyes, who made HUGE strides at the plate as a rookie, hitting over .280 with about 16 homers in limited at bats, with huge bat upside….. Renfroe, who in his second season led the team on HR, and improved his average to about .245-.250 while improving his OPS and OBP…. True. 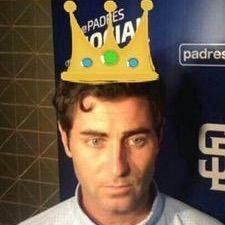 Preller is mess. Padres should just stop thinking they can trade Myers and put him on waivers. You are the biggest mess I have seen. You are not even a good troll. Go study some of those Yankees and Red Sox trolls. Those guys are good at it. You are just pathetic. Preller, signing him was like gambling. We should have signed more of a sure thing. I’m not confident we are headed in the right direction. Won’t be much better and then new GM will get autonomy to jettison Wil Myers to wherever and move on. Why do you bother to post defensive metrics for 36 games?? They are worse than useless, they are totally misleading. Until you have 450 games at a position, 3 full seasons, the people that came up with those stats have clearly said that the data you get is not accurate. And in today’s game with the prevalence of extreme shifts, any metric that uses zones is useless. Please move on from DRS and USE unless you are talking about a career. Numbers may show Robinson Chirinos as a bad defensive catcher however, they don’t show he was trying to catch the worst pitching staff in baseball. It would have been nice if the pitcher could throw the ball within 6 feet of where its called. John Daniels is the one that needs to go.